Ilford HP5 /120: This was a roll of the HP5 before the current HP5+ emulsion, expired in 1989. 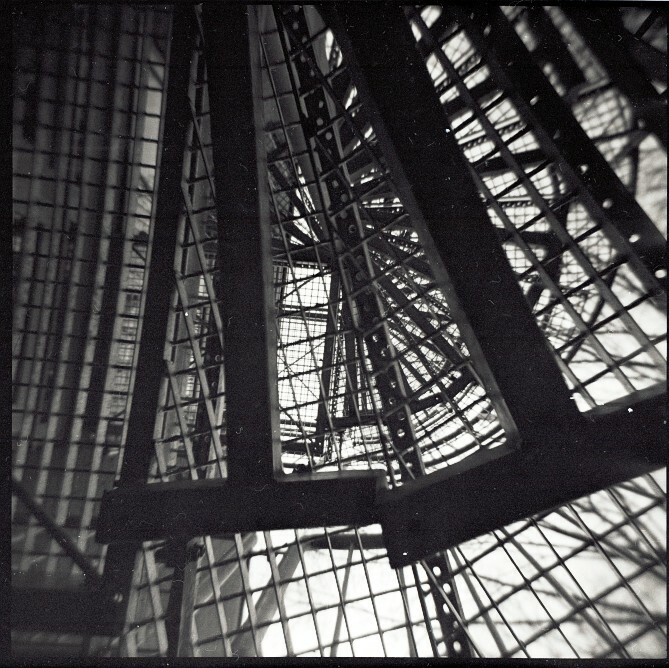 This photograph was taken on a dark winter day with a Holga. After stand development in Rodinal it doesn’t look too bad to me!